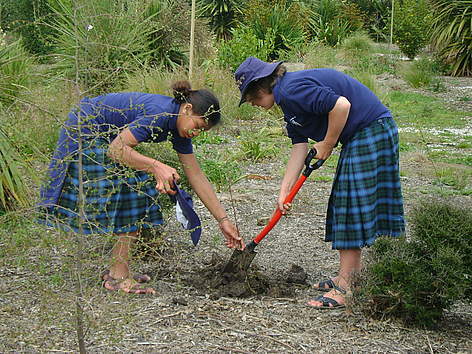 Betty and Aroha work together in Salisbury School's Native Garden, which has proved a wondered learning tool for social skills as well as environmental lessons. The school received funding from WWF's Environmental Education Action Fund. Environmental education is a positive response to the global challenge of how to live sustainably today, without compromising quality of life for future generations. It’s a critical tool to achieve long lasting social change and WWF believes it should be part of every New Zealander’s school experience.